Six days after the power outage, I’m still recovering. Boredom, my private villain, requires impromptu festivities. We celebrated our second day without power with a Ham and Candle Party. The purpose of the party was to feed Tyoma leftover ham. I included a grungy pillar candle to distract him from the idea of the leftovers. Since, he asked about the candle several times over the past few days, it seemed like a perfect plan. I lit our big, fascinating candle with a butane lighter. Tyoma’s eyes doubled in size. 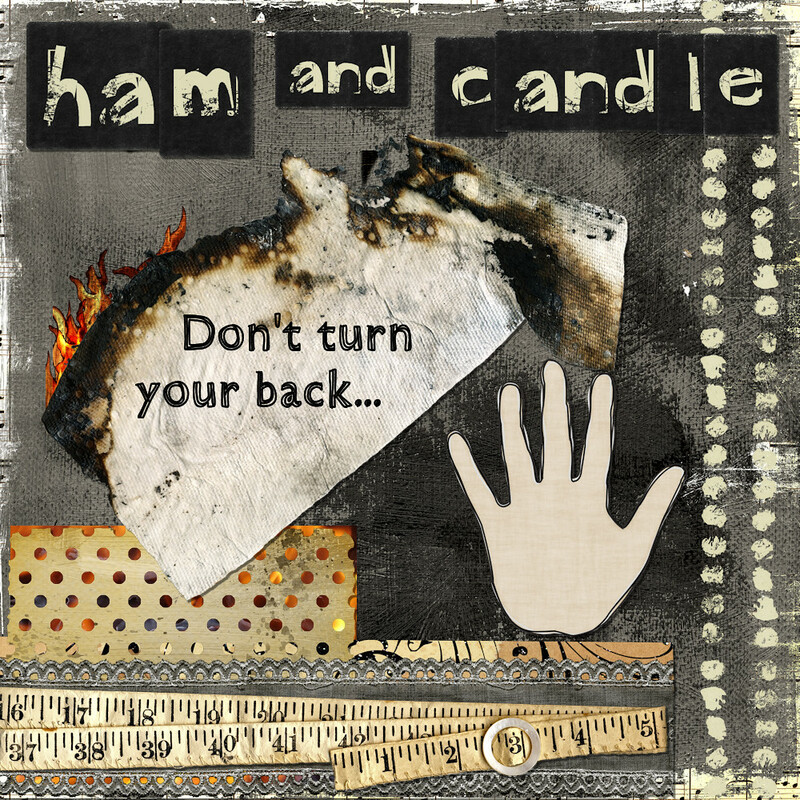 Too dazzled to eat the ham, he quizzed me nonstop about the candle, matches and butane lighter. Several minutes of Tyoma not eating ham passed. Answering odd questions engaged me at first, but he began to ruminate. My brain ground to a halt after the fifth flammble gas question. Tea, I thought. A cup of strong black tea would make butane more thrilling. So, I placed the lighter out of reach and poured myself a cup of tea at an adjacent countertop. I turned around. The kitchen table was aflame. In the seconds it took me to step six feet away, Tyoma ignited his napkin. Startled, he threw the napkin–onto a tall pile of art papers. The papers whooshed up in flames, threatening to incinerate our rattan art box. Genius that I am, I used a nearby roll of paper towels to beat out the flames. I did so without securing the roll, igniting a loose flapping towel (pictured above). Nevertheless, I kept on beating, eventually smothering the blaze. I dashed the embers with my tea as a finishing gesture. Next power outage, we will have a Ham and Flashlight Party. Nov 8 2011 Sep 11 2013 Lori D.
This is so funny…. for the blog audience, that is! I am so glad everything turned out ok!! This sounds very reminiscent of when my mom and I had our electricity turned off or winter months when it would go out. I was very intrigued with flames and how they worked with matches and my mom’s lighters. I think my interest in flames and candles has made me hypersensitive to “controlling” all things that have potential flames! Lol! Or a very sturdy storm light! (Needs to be sturdy. No knocking over allowed).